Penn State Football: Sorry, But Rutgers Is A Rival. For Now. You really, really don't think of Rutgers as one of Penn State's rivals. If you haven't heard, just check any message board discussing the Monday announcement that this season's game against Rutgers will be played at night. Nobody is excited about playing "that team" from New Jersey in a primetime spot, because Rutgers isn't Penn State's "rival." And you aren't exactly "wrong". Penn State has picked up 23 wins in 25 meetings. Something that doesn't exactly scream competitive rivalry. But 25 games covers a lot of time. 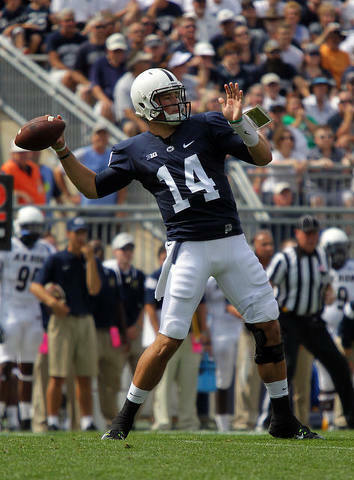 Twenty-five games also covers a lot of different versions of Penn State and Rutgers football. So history is fun to brag about, but it doesn't say anything about where those two programs are in 2015. The fact of the matter; these two programs probably haven't ever been closer than they are right now. Sure, there are a lot of reasons to think Penn State will end up back in the national championship conversation sooner rather than later. That's something you can't say about Rutgers as of April, 2015. If nothing else, it's harder to plot that course for the Scarlet Knights than it is Penn State. Even so, Penn State doesn't have a bigger game on the early season schedule than the one against Rutgers on September. 19th. The reason for such an assessment? If Penn State is going to stay true to its upward swing, winning these kinds of games is crucial to that cause. Nothing makes recruiting easier than beating your regional competition. Nothing asserts dominance like adding another win to the modern revitalization of the head-to-head series. Most importantly, nothing prevents a setback more than winning. It's hard to find a bad loss in a season full of good wins. Penn State fans like to think of Ohio State and Michigan as rivals. And they are in their own way, if simply because bigger things lie in wait for the team that comes out on top in those meetings. Michigan is an unknown, and ultimately Penn State isn't even playing in the same park as Ohio State right now. The Buckeyes just won a national title. Penn State just got back the luxury of having a two-deep roster at a few positions. That's not to say those meetings aren't important for both teams, but the two programs are operating on such different levels that getting to play Ohio State is something of a novelty. Repeatedly hosting a top ranked team doesn't make the game a rivalry, it makes it a unique opportunity. Getting to beat Rutgers and Maryland -- that's a chance to reestablish the Nittany Lions as a regional power. Penn State has to put some space between itself and the lower half of the conference. You do that by beating Rutgers. You do that by beating Maryland. It's a difficult pill to swallow, but it's a cold splash of water to snap people out of 70s and 80s and back into the present time where Penn State's future is going to require a lot of hard work. In the end Penn State is going to be better this year, but the Nittany Lions still have issues that will take a few years to correct. James Franklin and his staff can only do so much (with what they have), and Penn State is still a handful of recruiting cycles from having something substantial to work with. The sooner that becomes the accepted reality the sooner the ups and downs of the next few seasons become easier to handle. So yes, Rutgers is Penn State's rival because both teams need those wins and neither team can afford too many losses. And that isn't going to change for a while. For property owners within the State College Area School District's territory, taxes will likely see a sizable increase for the coming year. 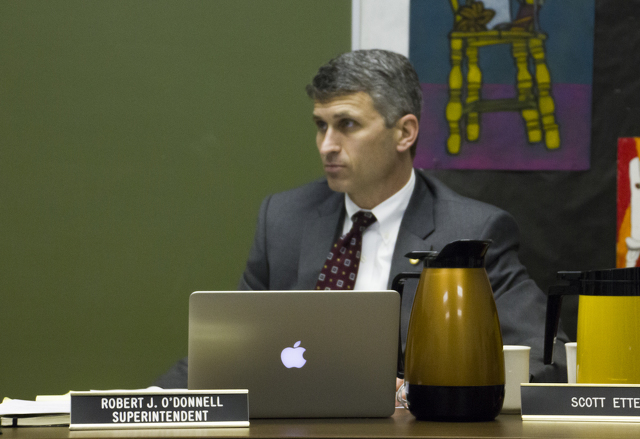 The majority of the expected 5.49 percent increase in real estate tax, which the school board discussed at a meeting on Monday night, will pay the referendum tax on the high school renovation project.